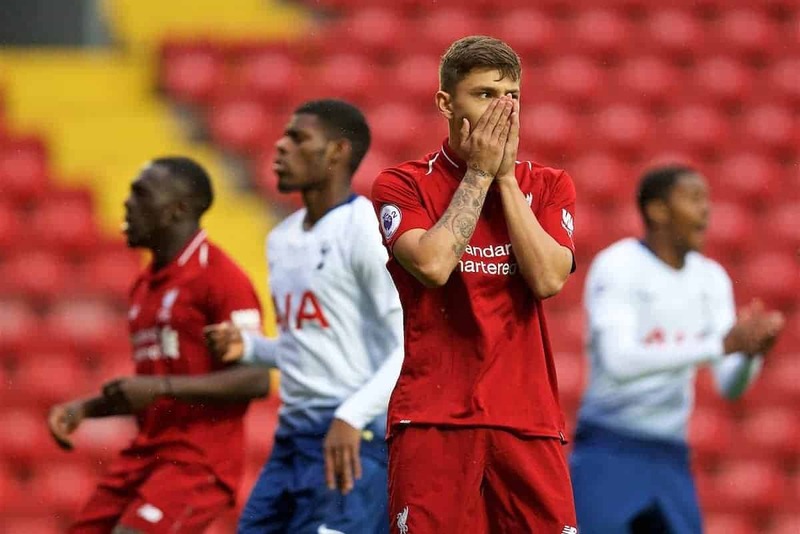 With Alberto Moreno set to leave on a free transfer at the end of the season, Liverpool are right to look close to home for his replacement on the left. Recent reports have suggested the Spanish left-back is assessing his options in a bid to secure regular first-team football, and could leave on a free at the end of the season. The 26-year-old is approaching his peak years, and the former Sevilla man could look to return to Spain. He can begin discussions with foreign clubs in January. There is a strong chance of Moreno doing well if he can become a first-choice player in Spain or Italy, as he has all the tools to be a good full-back. A regular run of games seems to help him keep his head and make fewer of the rash challenges and errors which can be a worry. He showed this at the beginning of the 2017/18 season, when he suddenly looked like a reliable full-back—one with blistering pace and a decent shot should he get in the position to unleash it. He was unfortunate to pick up an ankle injury, but fortunately for Liverpool, Andy Robertson stepped in and hasn’t looked back. It may not even be an exaggeration to say that he’s become the club’s best left-back of the Premier League era. The Liverpool squad will miss Moreno’s character around Melwood and in the dressing room, but the move will give them the opportunity to find their next left-back option and further improve the strength and reliability of their squad. 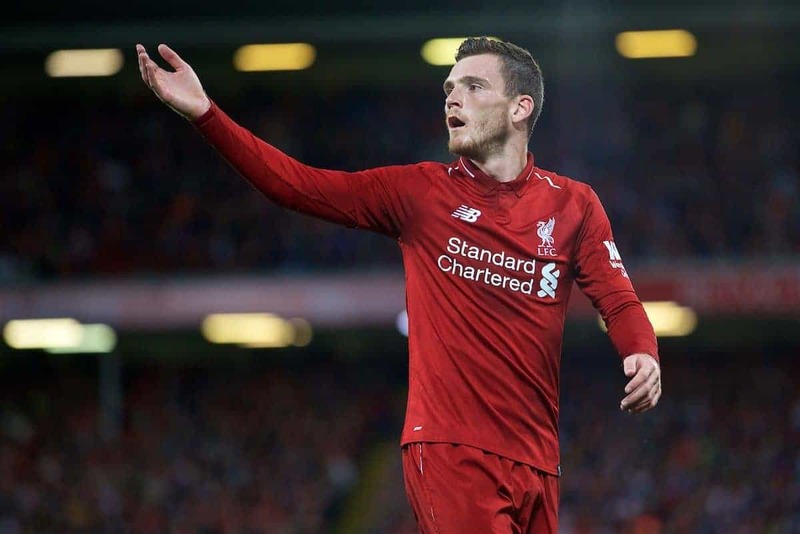 It will be difficult to find an already established player to come in because Robertson is so good and so durable that they couldn’t be guaranteed games. This is where the club will need to look beyond the immediately obvious, signing a player from elsewhere who has quality but would be happy to play backup for the meantime, just as they did with Robertson. The other option would be to dip into the club’s ever-promising youth academy, and use a player like Adam Lewis as the Scotsman’s understudy. There are similarities between Robertson and Lewis, from the obvious left-footedness, to the mobility, stamina and speed which are vital for a full-back in the systems Jurgen Klopp uses. Other key attributes are passing and technique. 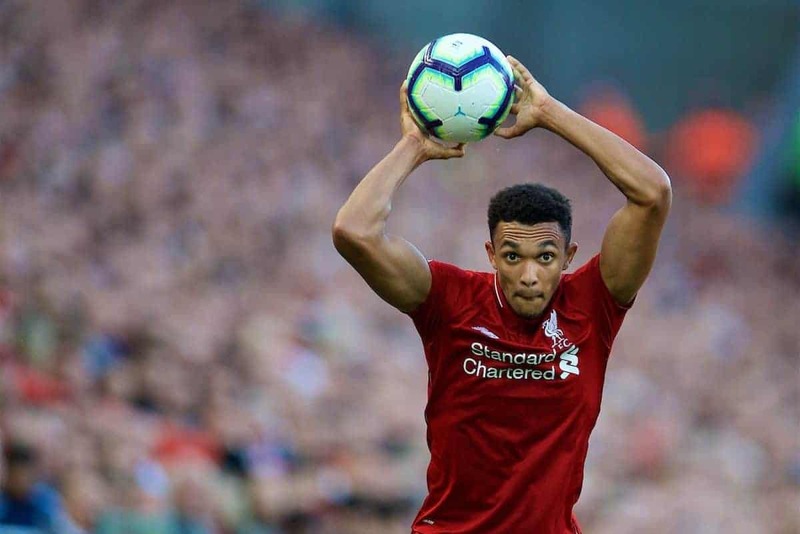 Passing is more than kicking the ball to another player, and the ease with which Robertson and Trent Alexander-Arnold have settled into their role in Liverpool’s buildup play should not be taken for granted. Neither should their ability to expertly control the goalkeeper’s passes out to them on the touchline, which can often be at a difficult height. Klopp has spoken in the past that full-backs need to have the skill-set of a midfielder, as well as the added defensive ability. The latter is something Lewis has shown flashes of at youth level but, by his own admission, he is not yet the finished product. “[Robertson] is a perfect example for me. I like the energy he has got and I try to play in a similar way,” he told LFCTV in September. The natural gift he does have is technique, and he can regularly be seen taking free-kicks from the areas of the pitch which favour the left-footer. In this regard he’s reminiscent of one of Liverpool’s best left-backs of recent times, Fabio Aurelio. 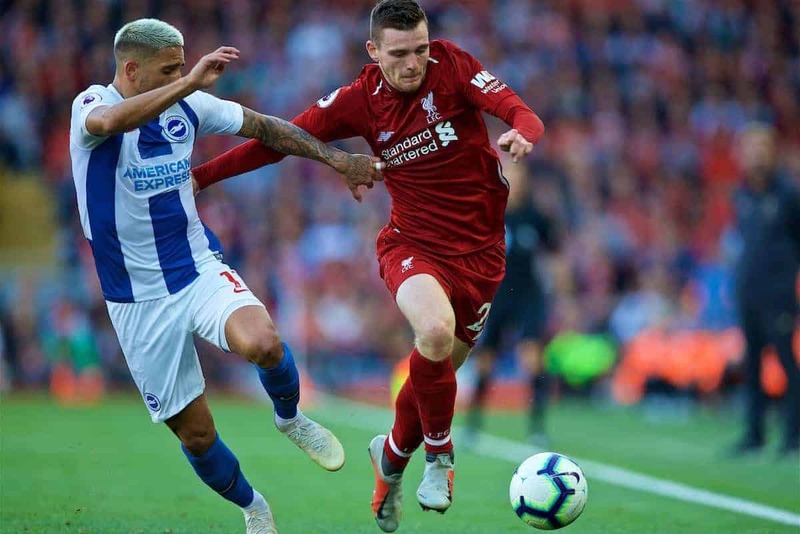 Working with Robertson will help him with the other side of his game, which at the moment can be more Moreno-like, but there is plenty of time and opportunity to improve. 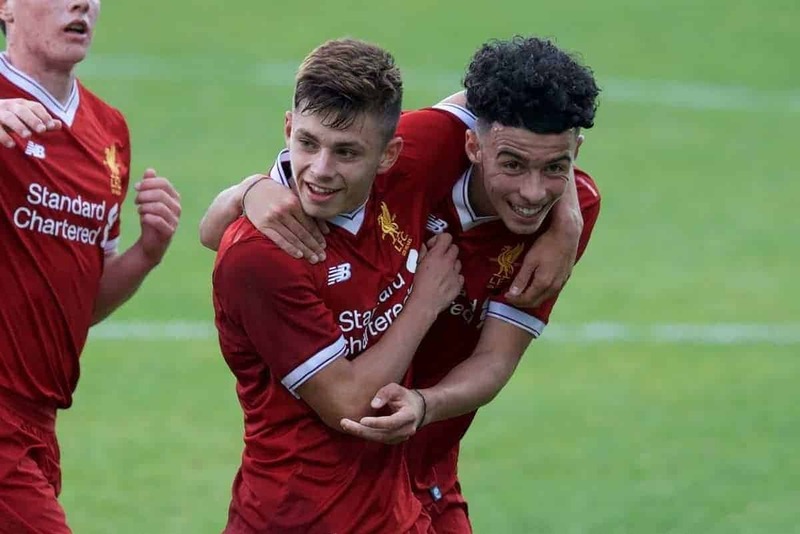 Like Trent before him, Lewis also benefits from having played in midfield as a youth, which should stand him in good stead. 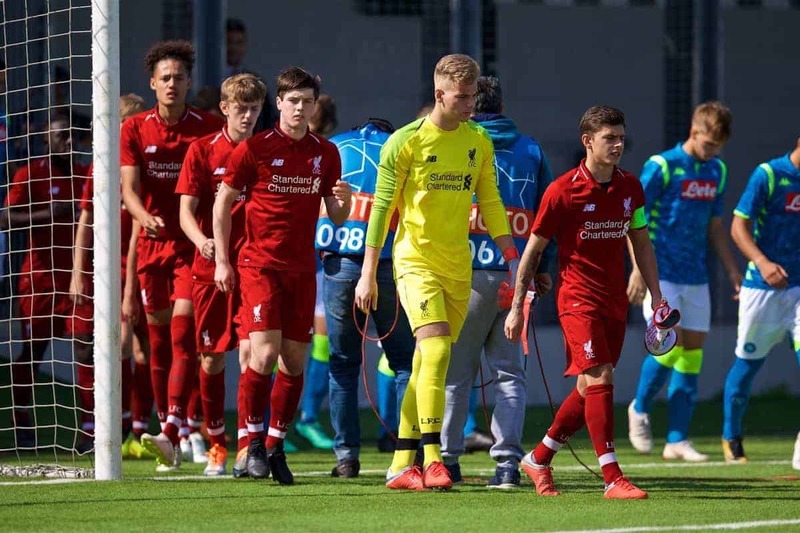 He is also captain of the U19 side which participates in the UEFA Youth League and have so far run out impressive victors against Paris Saint-Germain and were unlucky to only draw at Napoli. His coaches believe he has the mentality to lead a young side, and he should be able to take this with him to help him cope with the demands and the increased spotlight at senior level next season. It makes a lot of sense for Liverpool, or for any club, to turn to local youth products for these positions if they are good enough. If clubs aren’t influenced by the area in which they reside, then they can lose their identity. One way to retain this is to introduce local players to the side—if they are good enough. “I do think people will automatically buy into you in a different way because you are local,” the Reds’ head of club and supporter liaison Tony Barrett told This is Anfield. Though full-back is one of the most important positions in the game, it is also a position where young players with natural gifts can bed into the side, rather than be thrust into key central areas in defence or up front where the spotlight is more intense. This isn’t to say that full-back or other positions, such as defensive midfield, are an easy ride. But they provide slightly more breathing space and more opportunity to settle into the game, getting a few early touches of the ball before pressure arrives. “It’s always this little plus if they come from Liverpool. “If I have two players with the same quality, but one speaks proper English and the other one speaks Scouse, the Scouser is in! 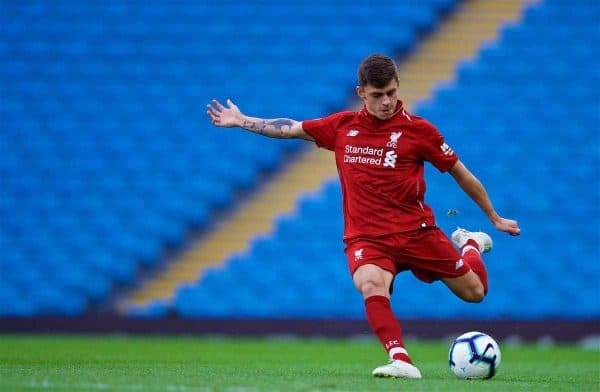 This is why it would also be good to see someone as versatile as Liam Coyle get an opportunity in the squad, joining fellow Scouse youth Curtis Jones, who looks like he has the confidence to step into any position. 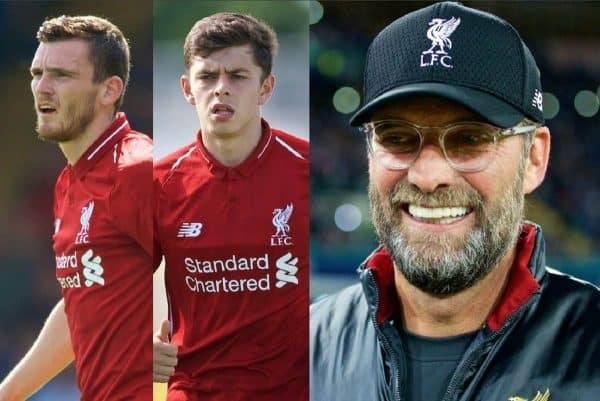 When Liverpool trained without their international stars this week, it was no surprise that Klopp turned to Lewis and Coyle to make up the numbers (Jones is with England U18s). But they could go on to do much more than this in future seasons, and a space in the squad appears to be opening up for Lewis. Moreno will be missed by the group should he leave, but they should look at it as an opportunity to bring a new face into the squad. And thanks to the strides made by Liverpool’s academy, this doesn’t necessarily mean dipping into the transfer market.